For many of us, family means everything. Not only do we count on our loved ones for mental and emotional comfort, but we may also rely on them for necessary financial support. When someone’s negligence or recklessness causes the untimely death of a family member, you are left to deal with incredible grief, along with the resulting financial responsibilities. At Wagner & Wagner Attorneys at Law, our experienced Chattanooga wrongful death lawyers represent families who have lost those dearest to them due to another person’s negligence. 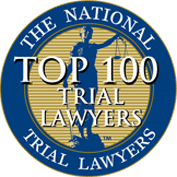 We know that retaining our services cannot erase your pain and suffering, but it is our hope that a substantial financial compensation award will alleviate some of the stress experienced by you and your family. Since 1945, our team has been assisting Chattanooga families through the process of investigating and pursuing wrongful death claims. We use this valuable experience to examine the events that led up to the death and identify all responsible parties. 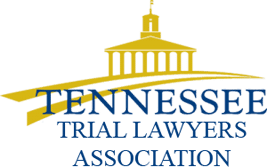 Tennessee law specifies who is legally eligible to file a wrongful death lawsuit. A surviving spouse typically has the right to file suit. If the deceased individual was not married at the time of death, a surviving child may pursue the claim. If there is no surviving spouse or child, the deceased individual’s parent or parents may have grounds to file suit against the responsible party. Under some circumstances, the executor or personal representative of the deceased individual’s estate may file suit on behalf of the estate and surviving heirs. Under some circumstances, the court may also award a punitive damage amount. These awards serve to punish the wrongdoer, while providing the victim with increased compensation. You and your family have been left to deal with tragic circumstances, and we diligently work to secure the financial compensation you deserve. If you unexpectedly lost a loved one and feel you have grounds for a wrongful death case, contact the dependable wrongful death attorneys of Wagner & Wagner Attorneys at Law. 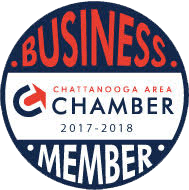 We proudly serve clients in Cleveland and Chattanooga TN, in North Georgia, and in all surrounding counties. Choose a legal team dedicated to providing your family with quality legal advice you can trust. Call us today at 423.799.3532 or complete our contact form to schedule a free consultation.